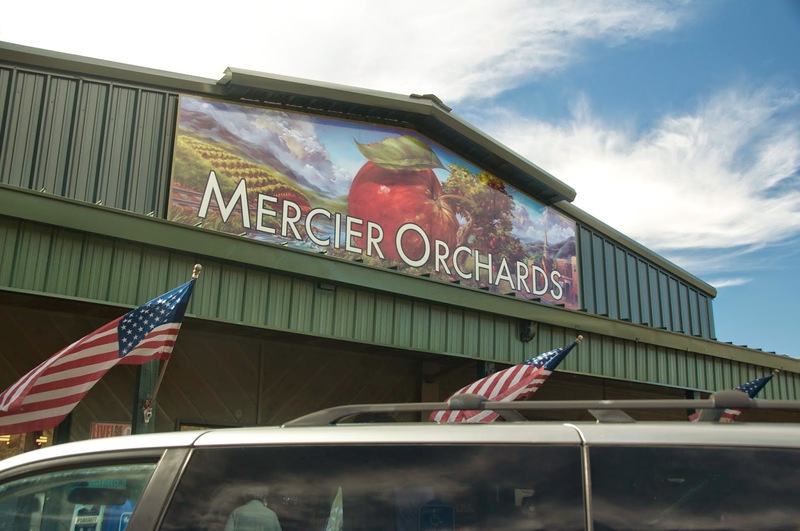 The people at Mercier Orchards in Blue Ridge, Ga., have definitely found gold in the multitude of colors that appear on apples. Last week, on our way to the Great Smoky Mountains National Park, we decided to take a short detour and visit the location. 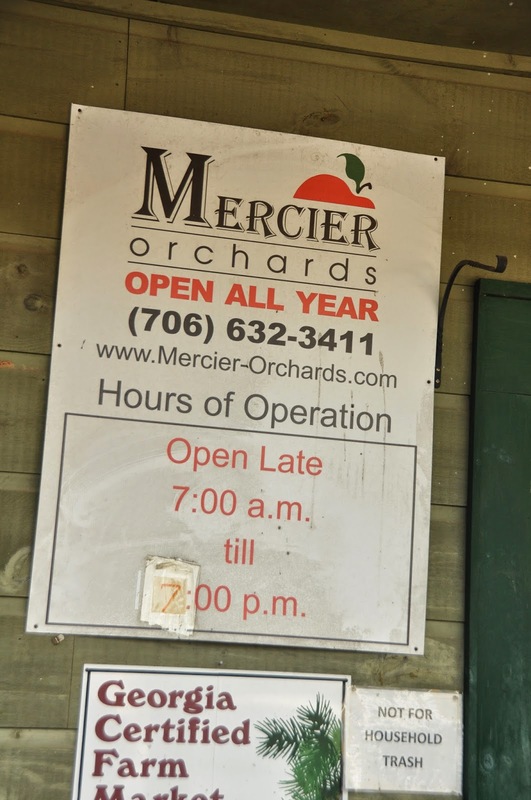 Wasn’t what I expected, but then I should have known better, because wifey said it was the biggest orchard in the Southeast. There were hundreds, if not a thousand or more, people there on that perfect October day. And were they serious about apples! 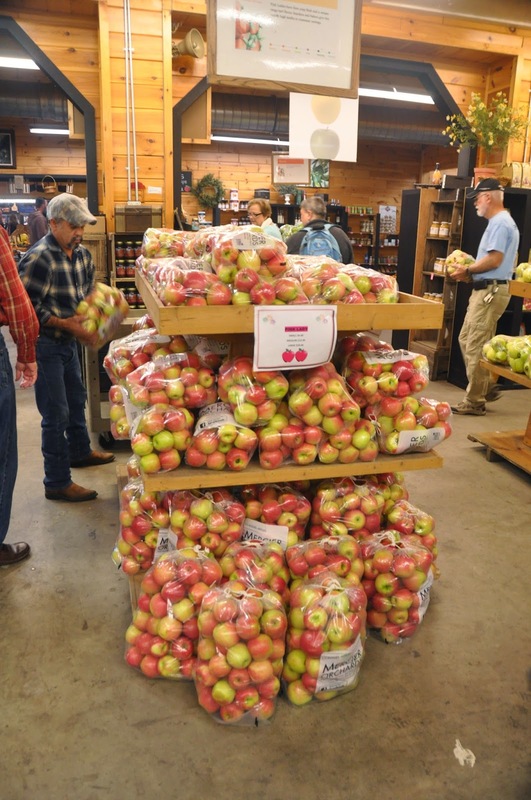 We saw people loading up on apples in small, medium and large bags. They were also enjoying shopping for souvenirs of all kinds. And for those with a little extra time on their hands, and an appetite, food was also aplenty. We managed to get a “near the front” parking spot. Others had to settle on spots about a quarter of a mile away and walk to the main building. People seemed to be enjoying themselves and taking time for a free tasting of samples before heading out to shop, whether for fried apple pies, candy or nuts. During the course of a year they also offer pumpkins, u-pick blueberries, blackberries and strawberries. Cooking demonstrations and bakery classes are also available. We managed to pick up a few "golden" nuggets before heading down the road to continue our fall adventure.